Because nature has a peaceful effect on us. A natural environment also gives us energy and focus. Things fall into place and new ideas easily pop up. Nature differs from your daily work environment. You are less distracted by daily worries. Walking and talking is powerful, while nature offers itself as a mirror. Problems and challenges become more tangible/visible when using metaphors from nature. Do you want to discover what really drives you and in what environment you flourish best? I will be glad to accompany you on your path towards your destination. difficult subjects are more easily discussed while walking. You don’t need to look at each other. The positive effect of walking reinforces the effect of coaching. We walk, I lead the discussion and help you to get to the core, to find the solution to your questions. Together we think of ways to integrate these solutions in your daily life. You will feel it right away during our first walk. Walking and talking diminishes work stress and burn-out complaints. It increases pleasure at work, engagement and self-confidence. You know in what function you can best deploy and further develop your talents. You know under what conditions you experience joy and energy and where you feel meaningful. You have discovered how you can better flourish within your present function. 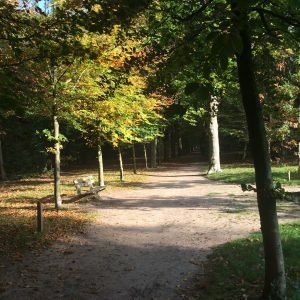 Unless otherwise agreed, we will walk in the Zeisterbos – a relatively old forest according to Dutch criteria. The trees are more than 200 years old, while most forests in the Netherlands are not older than 70 years. The undergrowth is dense and varied, and gives home to many bird species. Together with the parks and forests of the former estates Hoog Beek en Royen and Pavia, the Zeisterbos forms a broad green strip at the eastern side of Zeist. Casita Coaching is a practice for career and personal development. It is based in Zeist, the Netherlands. Please leave a message and I'll get back to you asap.